Tara has shared another lovely fragrance review with us….read on! Before her tragic, untimely death in 2011, Mona created Violette Fumée for her business partner Jeroen Oude Sogtoen. She sought to embody within it his favourite raw materials, passions and memories. In 2013 he decided to share this personal creation with the rest of us and it joined Les Nombres d’Or. 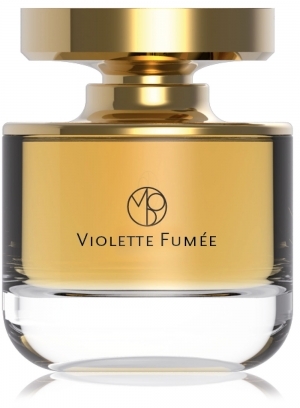 Notes listed for Violette Fumée are lavender, bergamot, oakmoss, violet flowers, violet leaves, rose, vetiver, clary sage, opoponax, myrrh and cashmeran. On application the lavender rushes up to greet me, but I don’t want to recoil the way I usually do with this tricky note. It is a little medicinal and rather cold but the spiky edges have been planed off. Bergamot sits just behind the lavender, brightening it up and adding a nice contrast. Over the course of maybe half an hour, the lavender gradually turns to a rich shade of violet.